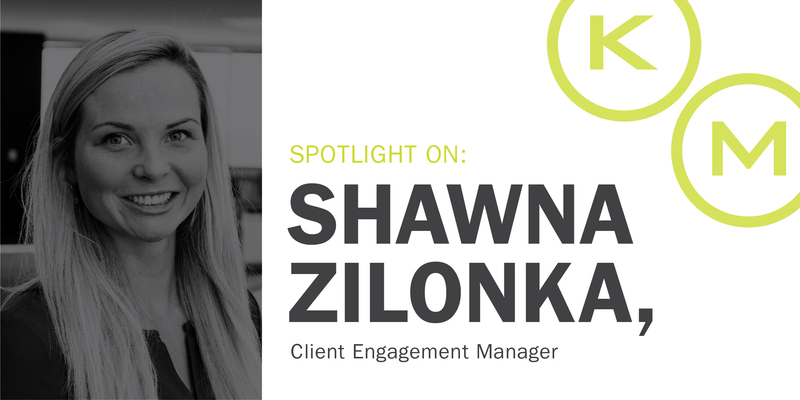 In our latest employee spotlight, we caught up with the ‘always on the go’ Shawna. As a Client Engagement Manager, any given day Shawna is all over Seattle connecting with clients and helping to get our consultants great jobs! And her success in both those things is not surprising since Shawna’s kind heart and energy are equally infectious. What do you love most about working at KellyMithcell? The people & culture. That has always been the biggest factor for me. I have to be surrounded by other inspired/motivating individuals that push me and KellyMitchell does just that! What’s your favorite thing about working in the Seattle market? What’s something you’ve learned since you started working at KM? I’ve been with KellyMitchell a little over a year now, and have done a whole lot of growing! This industry is competitive, and you have to be resilient. I have learned to let go of the things not within your control, to walk away from bad business, and most importantly to celebrate every victory, no matter how big or small. What’s one fun fact most people don’t know about you? I am a CrossFit Level 1 Coach certified! Our Seattle office (which as you heard from Shawna is pretty amazing) is hiring for another personable, vivacious, go-getter like Shawna to join the team! To learn more about the position and apply, check out the listing here.